Landscaping Can Benefit Your Property In Numerous Ways. 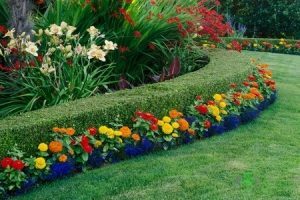 It might not seem like landscaping could benefit the look and value of your property, but it really is a valuable service to consider. While some people choose to look at landscaping as an unnecessary service, there are more ways it can benefit you and your home. Below are ways landscaping can benefit the value and look of your property. Now how in the world can landscaping help with energy savings? When trees are strategically planted, they are able to provide shade that can decrease heating and cooling expenses. Gates or fences are great ways to ensure you have privacy, but placing shrubs or plants can not only provide shade, but they can also add extra privacy to your home. Again, it might not seem like landscaping can benefit homeowners from deterring intruders, but certain plants add more safety to your home. Think of prickly bushes by windows. They don’t feel very good, so chances are burglars aren’t going to find them comfortable either. Painting a house or introducing new accessories to your home can improve the look of your home, but plants, flower, and trees can really enhance the look of your property. This can be an expensive thing to install but in the end very worth it. Retaining walls are used for aesthetic purposes, as well as keeping certain plans away from each other. They add a little extra something that will bring positive attention to your home. If you need landscaping services in Aledo or Granbury, TX, please call MDM Landscapes at 817-396-0125 today. Posted in Uncategorized on July 18, 2017 at 4:16 pm by MDM Landscapes.